Roleplay Casting Lounge about in Out-Of-Character discussions linked to individual roleplays. This is the best place to find existing roleplays to join, or create the sign-up thread for a roleplay of your own! 6 Days Ago (1:05 PM). Edited 4 Days Ago by SV. Discord Chat: Join our Discord Chat! The land of Perys was settled by humans nearly a thousand years ago. The first humans sailed from across the sea to this unknown, mysterious land, and have since called it their home. In the early days, people were blissfully unaware of what Perys had to offer. They explored the vast lands with curiosity, settling across the continent. Then came the Dreaded Times: a period of unbelievable misery. It began with the droughts and the floods. It continued with mass starvation, famine. Then came the creatures: orcs from deep within caverns, demons from underground, giants from the mountains. For years, they were tortured by the creatures, the famine and the tumultuous weather. Humans were miserable. They began to believe they made a mistake coming to Perys. It is unclear where Energy originated. Some claim it was a gift from the gods who bestowed it upon mortals as a token of their faith, or as a way to fight the Dreaded Times. Some believe the world itself created Energy, and humans merely learned to harness it over time. Some say that Energy had always existed, like the air around them, or the sky above. Some say it is a curse. Whatever the true origin, Energy became the most important tool in people’s lives. Energy was the world’s politics, religion, and technology. People relied on it for everything: work, entertainment, war. They used it to help control the weather and calm the storms and the drought. They used it to help produce food and feed themselves. They used it to fight off the creatures who would do them harm. And finally, after nearly a hundred years of horror, the Dreaded Times ended, and people finally began to believe in the promise of Perys again. Nearly a thousand years have passed since the settling in Perys. The original settlers created the Kingdom of Perys, and intended for the people to live together under one banner in relative peace. As the years passed, however, Perys began to be divided by beliefs and location. Though they all technically identify as one nation, people began to be identified by which city-state they lived in, which leaders they followed, and which type of Energy they used. The year is 1238 AFP (After the Founding of Perys). Perys is ruled by King Tannys VII, from the capital city of Jarul. Although many of the other large city-states are ruled separately by their own leaders, the king was respected by most in Perys. An offense to the king was an offense to all. On the second day in the 6th month of 1238, an unspeakable offense occurred. King Tannys was at court, when a man walked into the throne room. The man wore a cloak which covered part of his face, but many knew this man’s garb, for it was legendary. He was the Hero Grayson, formerly a knight of Jarul, and one of the most skilled fighters in the kingdom. Grayson walked toward the king with an ominous purple Energy, he dispatched the other knights who stood in his way with this Energy, and he reached the king. Suddenly that purple energy around him discolored, and became a mysterious, clear energy. After that, Grayson did something thought to be impossible. In an unnatural act, Grayson drained the same clear energy from within King Tannys’s body: He drained the Life Energy out of the King, and killed him. Reports stated the treacherous knight had sailed to the mysterious city-state of Naarth. The son of King Tannys and new King, Jordain, sent out a message throughout the lands: a reward beyond measure for either the capture or killing of Grayson. Many theorized on just what this ‘reward beyond measure’ would be. A popular theory was that the reward was an energy orb, an extremely rare object which houses a large amount of Energy, said to grant longer life. Other theories spoke of gold, glory, land, title. Many came to Pern, the largest port city-state, and one of the fewest places with people brave enough to sail to Naarth. For whatever reason, you have come to Pern to seek passage to Naarth. Maybe you’re doing it for gold. Maybe for glory. Maybe for the belief in your promised prize. Maybe you come for honor. Maybe for justice. Or maybe for revenge. Whatever the reason, you are among those who come to Pern. Knight - You could be a knight sent by either the capital Jarul, or another city-state, on this mission of justice. After the King was slain, the new King decreed that each city-state send two of their best knights on this manhunt. Mercenary - You could be a mercenary, either solo or in a group (feel free to tag team with other players! ), or a bounty hunter in it for the reward. Personal/Other - You could be simply out to get Grayson for another, personal reason. Or you have some personal connection to Tannys which caused you to seek justice/revenge. Again, creativity is welcome, as long as it fits into the overall story! Hadrian, the son of the king’s teacher and best friend, travels to Pern seeking answers to questions that many aren’t asking. Jarul is the capital city of Perys. It is hidden behind large, stone walls, powered in part by the large pool of Nature Energy around. With well over a million inhabitants, and surrounded by thick forests, Jarul is thought to be an impregnable fortress. Political Affiliation - Kingdom, Capital of Perys. Emerus is hidden deep in the mountains in north Perys. It is the second largest city in terms of population and size. However, it boast more people capable of using Will Energy. This probably stems from the people of Emerus as a whole, that boast to be more emotional than others. They are harsh people and quick to action, but selfly devoted to their comrades. Political Affiliation - City-state, officially under King Jordain of Jarul. Durano is perhaps one of the most spiritual city-states of Perys. While it follows the word Jarul, Durano’s people believe in the will of the Gods, who bestowed upon the world Energy. Hidden in the far south of Perys, past torturous deserts, many of Durano’s citizens pursue the study and practice of Energy. People come from all over the world for answers, enlightenment, and training. Durano is home to the Library of Kanaan, the largest library in the world. Ruler - Referred to as the Trio, three wise sages rule over Durano. They are said to possess some of the highest levels of Spirit Energy in the world. Political Affiliation - Oligarchy under the Trio, who serve King Jordain of Jarul. The beautiful city-state of Bohr is a city of opportunity. It is officially allies with the crown, but it cares more about its monetary interests than the affairs of the crown. Boasting one of the most diverse populations, Bohr is more accepting of many things considered unnatural. Laws are more lenient, and as are people’s morals. Bohr is home to the Anthis Cult, a group of fanatics who believe Energy is a corrupt tool used by leaders to suppress the people. Many of their followers use Gray energy to suppress other Energy users. Ruler - Ruled by the Contract, a group of 5 leaders from various political families in Bohr. Officially, the Contract has absay in ruling, but unofficially, they have granted most rules to abide by contract law and laws between private parties. Political Affiliation - Follows a semi-democratic process under the Contract, who serve King Jordain of Jarul. The port city-state of Pern, also called the Republic of Pern, is known far and wide as the travel hub of the world. Here, brave sailors take tourists, refugees, and wealthy travelers across the continent of Perys by water. Some of the even braver sailors take people to Naarth, the mysterious large island south of Pern. Pern considers itself ruled as a republic, with an elected Senate governing the city. However, it is officially under the Kingdom of Perys. Political Affiliation - Republic which officially broke away from Perys. Some say deep in the mysterious island of Naarth, there is a kingdom and a king. Many who travel to the ominous island, however, do not return. Those that do never speak of what they have seen. Long ago, the original settlers dispute with part of their group. That portion settled on Naarth, and refused to follow the will of Jarul. They are seldom ever seen or spoken of again. A native Naarthian has not been seen in years. Practically everyone uses Energy, but many only have the minimal amounts. There are 3 main types of Energy. Spirit Energy - Spirit Energy is said to reside from a person’s soul, and primarily is affected by one’s affinity to their morality. Common notions of “good” and “evil” dictate the strength of one’s spirit energy. The closer one is to the extreme of either side, the stronger one’s Spirit Energy is. For example, a person who is pure evil will have exponentially higher Energy capabilities than a man who is morally grey. In other words, the closer one is to end of each spectrum of pure “good” or pure “evil,” the stronger their Spirit Energy. The Color of spirit energy is white or black, depending on their affinity. Spirit Energy is strong against Will Energy. Will Energy - Will Energy draws on people’s emotions. It is powered based on one’s current emotional state, and is increased based on the level of that emotional state. For example, a man who is angry can harness Red Will Energy, and the level of his power depends on just how angry that man is. For this reason, Will Energy is extremely variable. It often depends on the person’s personality, the level to which that person can control (or in some cases not control) that emotion, and most importantly, how much that person is actually feeling that emotion at that time. For this reason, users of Will energy typically limit their specialty to one or two of the Will Energies, to prevent dilution of their maximum power. For many, Will Energy is extremely unstable, and some have difficulty controlling their own power. For this reason, not many choose to utilize Will Energy as a primary choice of Energy. Will Energy is strong against Nature Energy. There is also a final Will Energy Color: Gray. The Gray Energy is often called the ‘non-energy.’ It was discovered by the many who have a natural fear of Energy, and of Will Energy in particular. The Gray Will Energy, also called the Will Energy of Apathy, is used by those as a counter to Will Energy. Gray Will Energy does not release power, like the other energies. Rather, it suppresses it. It acts as the perfect counter to not only Will Energy, but all other forms of energy usage, by preventing its use. However, it calls upon the users to draw upon their indifference, their apathy, and their nihilism. The more in tune one is with these emotions, or lack thereof of the emotion, the more the user can prevent others from using their Will Energy. Nature Energy- Nature energy is the final and most expansive energy. Nature Energy draws upon surrounding life: water, plants, and even living creatures. It borrows bits of energy from numerous sources to fuel the user. The amount of energy that it extracts from surrounding life is minimal however, which makes this energy highly dependant on the quantity of energy around, rather than the quality. For this reason, use of Nature Energy in more populated areas, or areas with large amounts of life, like a large city, or a rainforest, makes the energy more potent. Use, on the other hand, in barren areas like a desert, or a graveyard, has the opposite effect. Nature Energy is all relative. Each person exerts a small bit from within themselves, and each person can collect a small bit from each source available. This reciprocal give-and-take of Nature Energy is its entire point. No one ever feels the effect of losing their energy because they gain that small bit back from everyone else. Most cities use Nature Energy gathered from surrounding life sources for everyday use: power, defense, fuel, etc. Nature Energy appears orange in color, and is naturally more effective against Spirit Energy. History: Include your alliance, city of origin, and reason for coming to Pern. Energy: probably the most important part of the SU, along with history. You can be very creative with what Energy you use. If you are unsure about something, feel free to ask! Be sure to keep in mind Energy type rarity based on location. Be sure to describe what type of Energy you use, how you came about that energy type, and your energy's strengths, weaknesses, etc. Be also sure to note any weapons you may use with your energy. Show respect to the other players. Do not use their characters, or copy their characters without their consent. This RP has an M rating. This means that there will be certain themes in the RP, including romance, violence, swearing and even minimal gore and adult themes are allowed. These principles are encouraged but do not overuse them, or push too far in your writing. This RP has a more mature tone to certain aspects of the story, but don't abuse that creative freedom. All standard rules apply. Obey all GM rules. There is a good deal of freedom I will grant in pushing this story. However, GM's word is law. No godmodding, bunnying, etc. Energy abilities must have weaknesses as well as strengths. No use of Life Energy in the way Grayson used. A Legend once told me that roleplaying is about bringing people together and celebrating creative vision. 6 Days Ago (2:38 PM). Edited 6 Days Ago by Dragon. I’ll... reserve a placeholder here. As in, the SU will be edited here. 6 Days Ago (5:57 PM). Edited 5 Days Ago by Leo Van Pyroar. 6 Days Ago (6:27 PM). 6 Days Ago (8:13 PM). Just gonna put a placeholder here. I'll edit this post with my SU when I get a chance tomorrow! 5 Days Ago (8:09 PM). Edited 5 Days Ago by SV. Thanks for the heads up Leo! Also, I’ll be posting my own SUs soon. 5 Days Ago (9:50 PM). Personality: Hadrian can easily be described as an inquisitive mind. He doesn't just search for an answer, he makes it a top priority of his to find the right one. Being comfortable or happy isn't nearly as important to Hadrian as being right, and he can easily become frustrated or upset if something seems impossible, unanswerable, or inexplicable. The unknown is what frightens Hadrian the most, as not having the answer makes him uncomfortable. Hadrian is generally pleasant to be around, though he is often quiet when he is not being addressed. His upbringing in a noble family has given him a certain sense of respectability and pleasantry. However, Hadrian can be more difficult to be around when he gets into one of his 'moods.' These moods are directly linked to when he is trying to figure out the answer to a question, or is trying to solve some problem. Then, Hadrian can get a bit brash, rude, and less social. He can become obsessive, inconsiderate, and distant. In these moods, he cares far less for anything else expect his objective. Minimal History: Hadrian was in Jarul, capital of Perys. His family lived a fairly privileged life behind the large, powerful walls of the capital. From an early age he grew to have a fascination with Energy. He constantly bugged his father to tell him stories about the famous power, it's origins, and it's amazing capabilities. The study of energy was a full-time chore for the young man. This fascination continued as the years passed Hadrian by. Instead of using Energy for combat, like so many did before him, Hadrian was set on discovering the secrets of Energy. He looked over scroll after scroll in the hopes of finding out more about the mysterious power. Yet, with every question he seemed to answer, several more came into his mind. He had learned many secrets about Energy, but those answers yielded even more questions. Beyond Energy, Hadrian lived a comfortable life as the son of a noble. Not just any noble, in fact, but the son of King Tannys's best friend and most trusted adviser. Because of this relationship, Hadrian enjoyed the ability to read through some of the rarest scrolls in the King's castle. 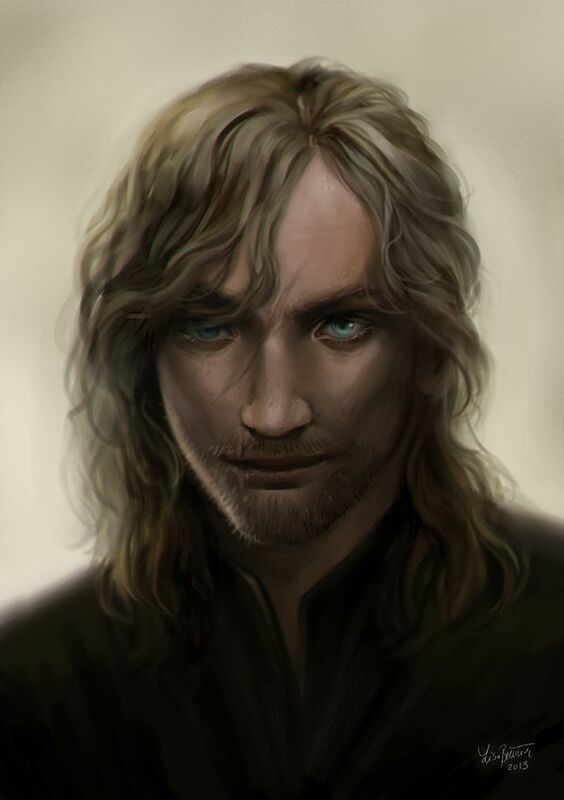 He was constantly teased by the crown prince Jordain, who was one of his dearest friends. While Jordain took up swordfighting, Hadrian chose the life of the crown's librarian. From there, Hadrian found himself in the most prestigious position as the prince's own teacher. Hadrian's personal connection to the crown and his relationship to both King Tannys and the new King Jordain is what led him to Pern. He was devastated in the death of the King. However, he was even more shocked by the strange power that Grayson used. Never before had someone used Life Energy to steal the power of another. And yet, as Hadrian continued to replay the tragic day's events, some things did not add up in his mind. There were multiple narratives, inconsistent stories, and strange coincidences. Hadrian promised Jordain to travel to Naarth to avenge his father's death. But secretly, he wanted to uncover what was truly going on. Type: Hadrian relies on Nature Energy as his base power. The most common Energy of all, Hadrian's power with Nature Energy increases the more he is surrounded by allies. In particular, Hadrian adapted his power so that it is most effective and powerful if he is around creatures rather than humans or forestry/plants/insects. This includes demons, orcs, and giants. Energy Projectiles - Hadrian released powerful beams of energy from the bases of his palms towards whichever direction he points. The more creatures are around, the stronger and larger these projectiles become. Harrower's End - Hadrian gathers a large amount of Energy into his palms, then claps his hands together. Releases a powerful wave of energy in a 360-degree radius. This attack severely cripples Hadrian's Energy usage for a long while, but heavily damages surrounding enemies, particularly creatures. Defensive Use: Hadrian is also capable of defensively using his Energy. Jarul's Wall - Powerful shield created from Hadrian's palms which protects the users from a certain amount of Energy. Effective against smaller or repetitive attacks. 4 Days Ago (9:29 PM). Edited 57 Minutes Ago by Rose Quartz. Placeholder :) looks good SV! I hope you're okay with having me! Arrogant, Sarcastic, Savage. Those are the words that would describe Vim the best. She is a very clever woman, one with a high IQ and often knows how to get through puzzling situations. However, That same nature often gets her in trouble as a sarcastic streak and cleverness do not well combined. Especially since Vim is by all means not a quiet one. She rather likes to get involved in discussions she has a lot of knowledge of, all due to the many books she has read in her childhood years. It's a hobby she likes to continue nowadays as it gives her peace. One of many she has actually. Besides her temperament she does have a soft spot to her that is not shown often. Let's say it happens every now and then. It's something that can be appreciated. It would be best to not confuse Vim's nature with impatience, because the opposite is quite true. She could be called an angel for her patience, one with blood on her hands to say the least. It's something that was teached to her in a most uncomfortable way since she was younger. Even though Vim has such an unique personality, she is not rude. She will always try to be polite first, depending on the situation she's in. As most women are insecure about their body and looks, Vim is absolutely not. She's confident about her features and knows full well of her beauty, a quality she often wielded in her past line of work as it always worked greatly in her favor. She no longer does that, however. As a mercenary she wants to get rid of that image some people might have of her and getting rid of the nickname "Crimson Calamity". Mostly because Vim is not proud of the assassin she used to be and sometimes even feels guilt. Vim has an illness that affects her lifespan. It was discovered when she was younger and she was told she would probably not get older than 35. Vim decided to go after Grayson ever since she heard that one of the rewards would be an Energy orb, something that could grant her a normal lifespan like any other human being. She let's nothing get between her and that reward. She wishes to able to live without having to keep in mind that she will die in the next 10 years. Maybe fall in love and get married someday and all that crap once she's received the reward. The illness is something she does not like talking about. All in all, Vim might be a little bit difficult to deal with, but once and ally or friend she will be loyal to the bone. As long as you do not get between her and the reward at least. Vim is not easily tamed. Vim was born and raised in the cold city of Emerus. Though, not raised by her biological parents. Vim, in truth, was left behind in front of an inn as a newborn baby girl. Her parents had probably meant for her to be taken in by the inn and be raised there instead, however, destiny took a stranger turn. Someone who was merely passing by saw Vim in her crib and decided to bring her along. Vim was given a name, Mila Eden, and brought towards an organization that would take care of her. "The Unbroken" was not a common organization taking care of orphans or such, no... They were assassin's. 3 Days Ago (12:16 PM). @Rose Quartz - You're reserved! If you guys have any questions about anything, feel free to PM me, ask here, or on our discord channel (link in first post at the top)! #10 Link to this post, but load the entire thread. 3 Days Ago (9:35 PM). Edited 2 Days Ago by Godzil. Ballis is a small woman, five feet tall and a mere hundred pounds soaking wet. Her dark brown hair reaches her shoulders, and is usually messy under her hood. Her hazel eyes change to a yellow hue when channeling her energy, becoming slitted like a snake's. She prefers simple clothes, practical pants and shoes along with her hooded leather shirt. She doesn't normally wear sleeves, but her arms are covered in small scars, so she'll wear silk arm wraps in public. Personality: Ballis is, above all else, a survivor. She is always calm, no matter the situation, never raising her voice or letting her emotions control her. Wary around others, she likes to size up people and places when she first meets them, looking for things of interest, points of weakness, or ways to escape. She may come across as cold and distant, but she's more likely to be affable and even friendly than to rudely push people away. Better to make a friend than an enemy, after all. 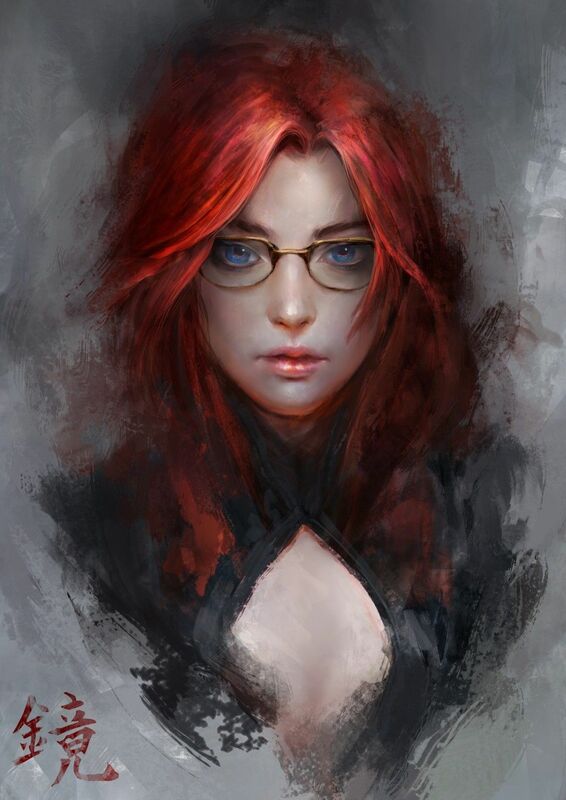 History: - Originally born in the small farming community of Barnsley, located in the southwest of the coniferous city-state of Everwood, Sara lost her parents when she was very young during a raid by goblins. Luckily for the town, the creatures were slain, but the damage had already been done to the young girl. She had no known relatives, but soon after, a man named Hagen came from the city of Vailace, claiming to be her uncle. In truth Hagen was a thief, using children (especially orphans and homeless ones) as part of his cons. Paid only the bare minimum of attention, the children formed a sort of gang, looking out for and raising each other. It wasn't an ideal upbringing, and Sara had to fight for survival, work for every meal, and close her heart off to the world just to get by. When she started using Energy, Sara caught Hagen's eye, and her special training began. She wasn't good as a distraction, and barely competent as a fighter, but she could be a good thief. She never made a name for herself, but in her line of work that was a good thing. Instead, Hagen took all the credit for himself, and all the infamy that came with it. It was the standard arrangement in Hagen's gang, but Sara wanted more in life. As a form of defiance, Sara had ignored some of Hagen's rules and fell in love with a girl. That girl was in love with a man, one thing led to another, and that led to Sara murdering the man. Spurned by her love and rejected by her old gang, Sara had no choice but to go into business for herself, falling in with a local Thieves' Guild. She ran with them for a few years, until the Guild tried one of the most ambitious jobs of their lives: robbing the King himself. Needless to say, the heist went sour pretty quickly. Ballis herself made it all the way to the royal kitchen, managing to hide in a pantry to evade capture. She had half a mind to poison the King's dinner, but decided against it as there would be no profit there. It was only when she tried to escape that she was caught, and has been spending time locked up in the dungeon ever since. With the King actually dead now, Ballis seeks to earn her freedom by hunting down Grayson, trading his head for hers. As a stealth expert and former murderer herself, who better to track down a killer and get back out of a hostile land? Type: Ballis draws her energy from her own suppressed emotions, specifically from her deep seated fears. This has the bizarre side effect of her powers being less potent the more confident she is, leading to a higher success rate when the pressure is on. Poison Blood. Fear is a poison, and it turns one's blood cold as ice. Ballis' blood is suffused with Purple Energy, rendering her immune to weaker poisons (even alcohol and spoiled food!) and resistant to stronger ones. Venom Coat. Poison Blood is just that: poison. By coating a weapon such as her daggers or arrowheads in her blood, Ballis can introduce the venom into a creature's system. The initial effect slows metabolism, making the target sluggish and clumsy. Unconsciousness follows, with the victim usually waking up 1-4 hours later with similar symptoms as a hangover (headache, dry mouth, sensitivity to light and sound). On its own the blood isn't lethal, and Ballis is reluctant to offer enough to induce overdose. Camouflage. Ballis can change the coloration of herself and anything worn or carried to match her surroundings, making her difficult to see. At her strongest, Ballis can become almost completely invisible (although being hit dispels the effect), but sharp enough eyes could still see her movements. Shed Skin. Like a lizard's tail falling off to distract predators, Ballis can generate a semisolid decoy of herself. This copy is stable enough to take one hit and reacts realistically to damage, though it decays into dust within seconds of falling over. #11 Link to this post, but load the entire thread. 2 Days Ago (8:30 AM). @Godzil - Looks good! The only thing I would change is the wording - when you talking about Everwood and Vailace. Making up places like I said before is fine, but since Perys is its own, large nation, and all of these other locations inside of it are city-states (even if they are very large and expands over a large area), I would maybe change Everwood to a large city-state and Vailace maybe the main capital within that city-state, or main area. Other than that, you'll be accepted!